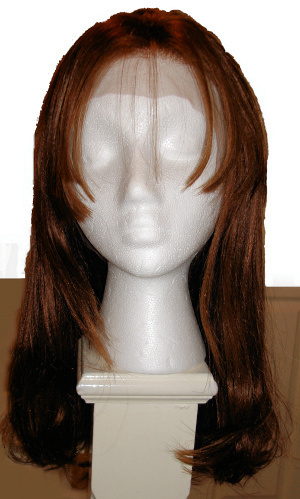 In addition to hair extensions, we also provide lace front wigs, also known as lace front units. The hairline of a lace front wig is constructed of French or Swiss Lace and is virtually undetectable to the naked eye when placed against the skin. The hair is knotted into the lace and appears to grow from the scalp offering a natural appearance. Only a lace front wig can be trusted to maintain the illusion of growing hair and it is the preferred choice of celebrities, actors, and people in media. The units can be made either entirely of lace or with a lace front and stretch cap back. Entire lace units are more prone to damage due to the delicacy of the lace. The lace used is French lace or Swiss Lace. French lace is less fragile than Swiss lace, but still needs to be handled with great care. Swiss Lace is more fragile than French lace but strong enough if handled carefully. It is the least detectable but also very delicate. Swiss lace needs to be handled with care and is not recommended for first time users to due to its delicacy. The units can be treated exactly like your own hair in terms of styling. As well as people wishing to change their hairstyle, lace units are greatly beneficial to those suffering from hair loss, such as people undergoing chemotherapy. People suffering from alopecia, thinning hair and bald patches can all wear lace units too. Lace front wigs are 100% INDIAN Remy Hair (cuticle hair) hand-tied to a lace base so that it looks as if hair is actually growing out of your head. No one would ever know if you are wearing a wig. The wig is more comfortable and more natural than a hard front wig. These wigs are versatile and can be cut to suite your style. 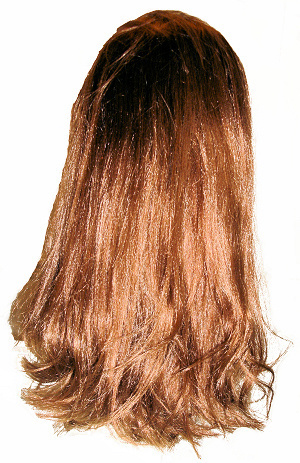 The Full Lace wig can be worn in high ponytails, flowing, parted in any direction you wish. The unit is attached with an adhesive 1/4 inch in front of your natural growing hairline. The lace is trimmed to create the illusion of hair coming out of your hairline. 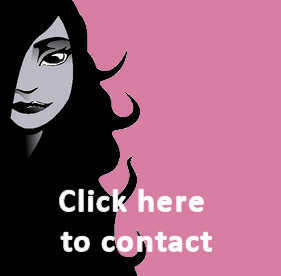 There is no damage to your natural hair, nor any need to use any chemicals. 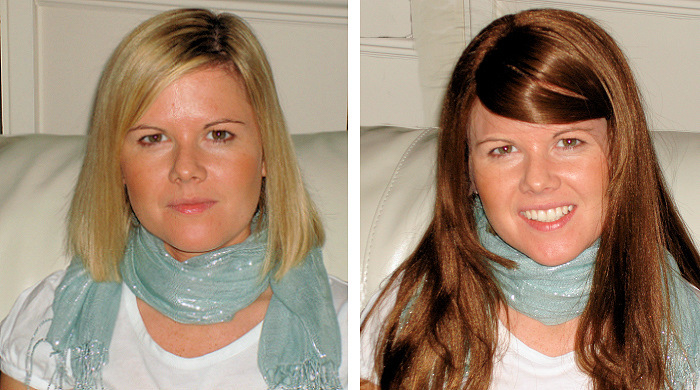 If cared for properly, this wig will last between 8 and 12 months, with minor repairs. You can wear them for 1 day or up to 3 weeks before removing, shampooing and reinstalling. Your head has to be measured before your unit can be made to ensure a superb and undetectable fit. You can choose to have a full lace unit, a lace and thin skin combo unit, a unit with lace from ear to ear or a lace front unit which is the least expensive. Yes, it's the same girl!